Home Technology USB is not working !!! Solved! USB is not working !!! Solved! Was your USB working yesterday on your computer and today it’s not? You went to office or school to show your assignment or project, and your USB not showing any files? Your USB detected with virus? USB is detected but it is not shown in My Computer? USB is not working? Today USB has become part of the computer user. USB (universal serial bus) is a storage device for files, images, videos, etc. USB has gave you ease but sometimes it becomes a deadly problem when you need it the most. 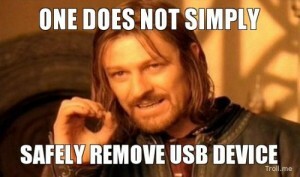 There are so many problems faced by USB users. And they don’t find the exact solution for them which make it hectic for new users of USB. USB are prone to viruses. They can easily get virus from the computer which do not have anti-virus and then transfer it into any other device on which it is plugged. So make sure to scan the USB always before opening it to prevent your computer from especially TROJAN virus. When there is a virus in USB, and you have scanned it. Then you open the USB, all files are disappeared. Your important files and memorable events all gone disappeared. But when you check the capacity, it shows that the USB is not empty. 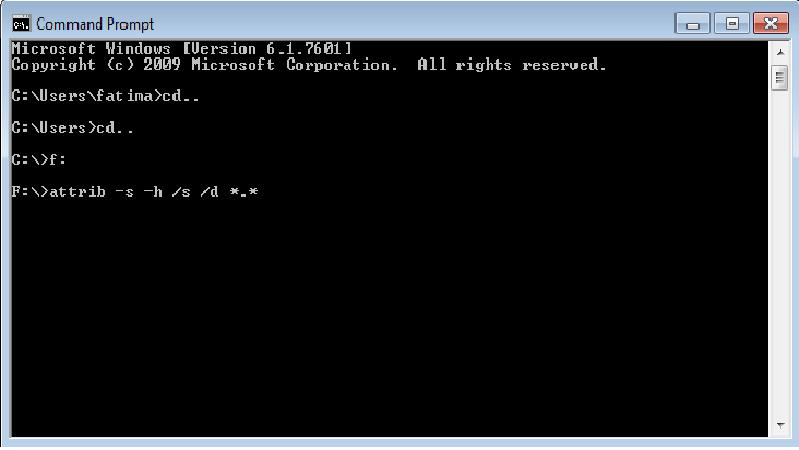 Don’t worry, to retrieve the data, just open the command prompt and go to your USB drive and write attrib -s -h -r /s /d *. * an enter. Then close the command prompt. Other problems some users faced are that your computer has detected the USB but it is not shown in My Computer. 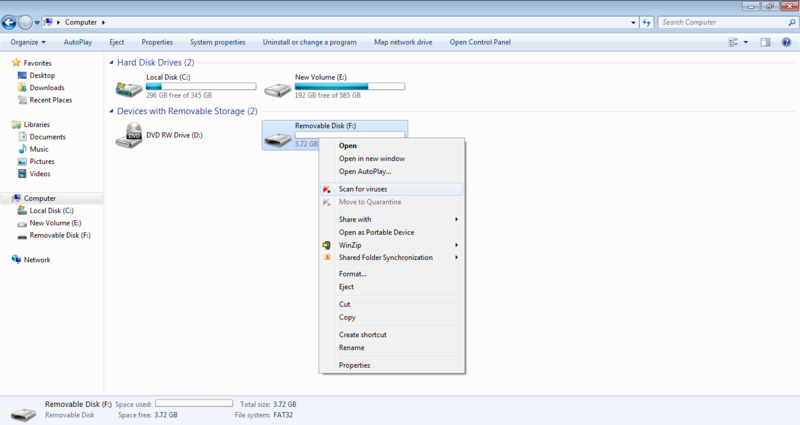 You cannot open your USB drive to copy or paste anything on it. It is disappeared from the “My computer”. For this go to Device Manager and then Universal Serial Bus Controllers and then select your USB storage device and uninstall it. Unplug your USB and Restart your computer. And then you will see the USB in MY computer and can easily work on it. Sometime your computer don’t detect the USB. Then you have to check its port. Either your USB port is not working or your computer port is not working. 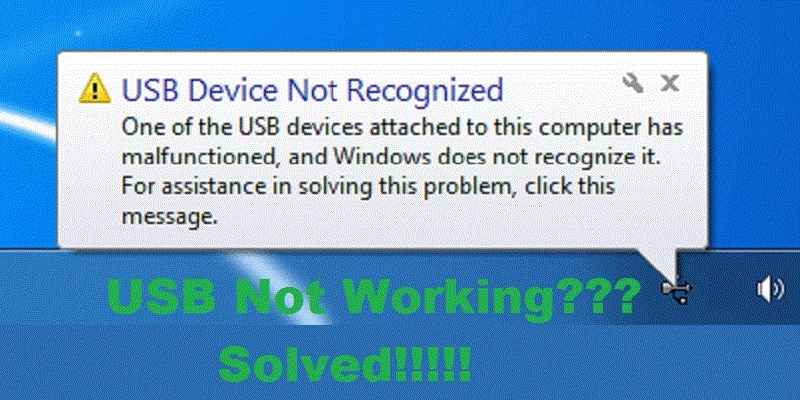 Check it by plugging it into some other device, if it still don’t detect then it means your USB port is damaged. You can repair your USB by just changing it port as shown in figure. 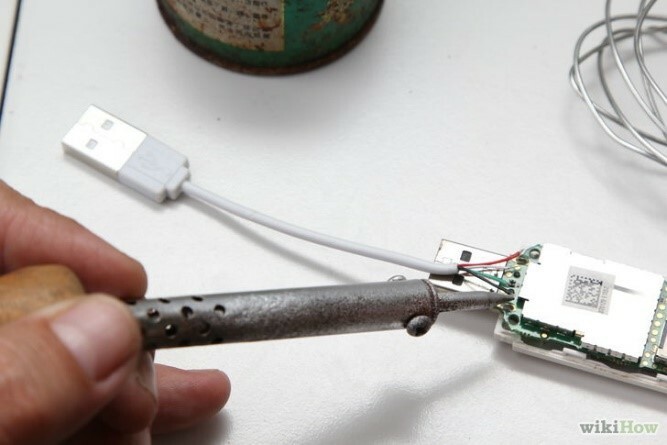 Just take an old USB cable, cut it and do some electric soldering and its all done. We will love to hear your problems regarding USB drives. Don’t forget to share them. Previous articleXiaomi unveiling something exciting tomorrow through teaser poster: Mi5 getting announced? Civil Engineer by profession. Apart from this I have keen interest in art and technology. I love writing about interesting stuff.